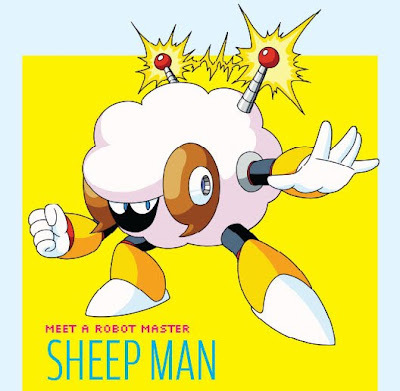 In what I can only imagine is an effort by legendary video game company to make a nod to my New Zealand heritage — and mine alone — a new sequel to the Mega Man series was announced today, and it will feature among its line-up of evil robot bosses a contraption named Sheep Man. In true Mega Man style, the weapon you win for defeating Sheep Man is also sheep-themed: something called Thunder Wool. 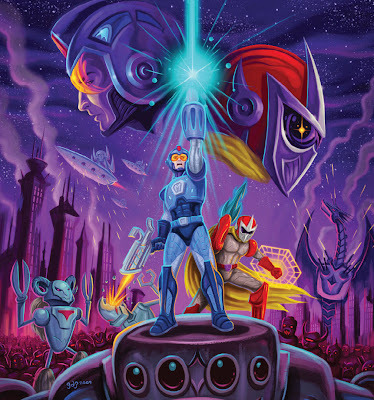 Those who have kept up with this blog for a while might remember my excitement in June of 2008 when Capcom announced Mega Man 9, a deliberately retro, straight-to-WiiWare installment of the old Nintendo Entertainment System series. The big news then was that the creators decided to make one of the eight Robot Masters female — or as close to female as a robot can get. The result stuck Splash Woman at the end of a list that began with Fire Man, Ice Man, and Elec Man and ran the gamut of every such-and-such-themed robot you could think of. Remarkable though this may have been at the time, today’s news is much bigger. Sheep trumps woman. New Zealand heritage and all. The announcement — which appeared in Nintendo Power magazine, another fondly remembered part of my childhood that I’m pleased to hear is still around — was accompanied by purposefully off-model concept art. I assume the ram-horned monstrosity in the left corner is supposed to be another interpretation of Sheep Man. Of course, nothing could be as disturbing as the other sheep-man-hybrid that has appeared on this blog. I’m happy to reintroduce the world to him. Game geek? Subscribe to the video games-only feed for Back of the Cereal Box. I want to hug Sheep Man. I bet he's fluffy. Fluffy and snuggly. And also apparently electrified. So maybe hold off on the huggery.